Q – So, what makes the Thin Places series special? A – It’s more than just one thing, I think. When I started writing these stories, I wanted to create books that mirrored ones I like to read. My top fiction picks almost always involve strong, well-developed male and female lead characters. And they have to love travel and adventure. A favorite series by a best-selling author involves a billionaire. So, I had to throw that into the mix as well. 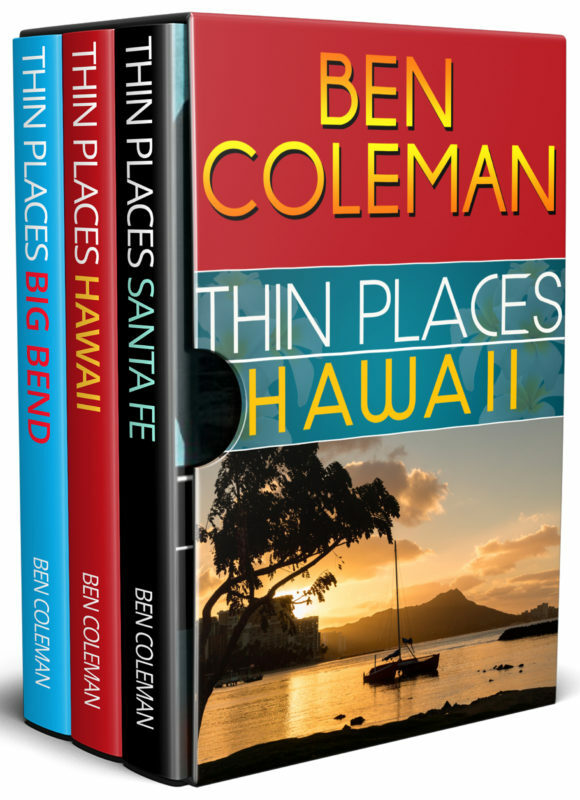 Each of the novels involves travel (Santa Fe, Hawaii, Big Bend…). It’s not only the destination, but how they do travel. While I don’t write realism, many of the places my characters visit actually do exist. Get this: I had a reader tell me they did the Buck and Liz tour of Santa Fe. Overall, the Thin Places books are a great mix of the romance and suspense genres with just enough fantasy to take them to a different level. My desire is to present a more contemporary perspective of classic romance equally balanced with suspense where my readers are entertained and able to enjoy a bit of an escape from all that presses in on any given day. A – They’re entertaining with fascinating characters you’ll enjoy getting to know and checking in with from time to time. And the price on Book 1 in the series is just about perfect for a test read. Other Books in "Thin Places Romantic Suspense...with a touch of Fantasy"